Jesus is God’s son, sent by God to become human like us. In his life and being, he broke through the prison of sinfulness and thus restored the relationship of love and trust that God intended to exist between himself and his children. Though he is eternal, with God at the beginning of time, he was born on earth of a virgin, by the power of the Holy Spirit. Jesus was at once truly God and truly human. The man, Jesus of Nazareth, lived and died in Palestine during the governorship of the Roman administrator Pontius Pilate; we believe him to be the Messiah chosen by God to show his love for the world. He is God, yet with all the limitations of being human. His relationship to God, however, was not one of sin but rather of perfect obedience to the Father’s will. For the sake of a sinful world, Jesus was condemned to death on the cross. But death could not contain him. On the third day after his execution, the day Christians observe as Easter, Jesus appeared among his followers as the risen, living Lord. By this great victory God has declared the Good News of reconciliation. The gap between all that separates us from our Creator has been bridged. Thus, Christ lives today wherever there are people who faithfully believe in him and wherever the Good News of reconciliation is preached and the Sacraments administered. Martin Luther (b. November 10, 1483, in Eisleben, Germany, d. February 18, 1546 in Eisleben) is known as the Father of Protestantism. He had studied to become a lawyer before becoming an Augustinian monk in 1505, and was ordained a priest in 1507. While continuing his studies in pursuit of a Doctor of Theology degree, he discovered significant differences between what he read in the Bible and the theology and practices of the church. On October 31, 1517, he posted a challenge on the church door at Wittenberg University to debate 95 theological issues. Luther’s hope was that the church would reform its practice and preaching to be more consistent with the Word of God as contained in the Bible. We are saved by the grace of God alone — not by anything we do; Our salvation is through faith alone — we only need to believe that our sins are forgiven for Christ’s sake, who died to redeem us; The Bible is the only norm of doctrine and life — the only true standard by which teachings and doctrines are to be judged. 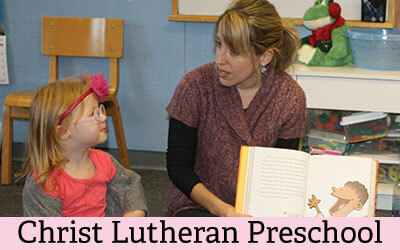 Lutherans believe that God is Creator of the universe. Its dimensions of space and time are not something God made once and then left alone. Rather, God is continually creating, calling into being each moment of each day. Human beings have a unique position in the order of creation. As males and females created in God’s image, we are given the capacity and freedom to know and respond to our creator. Freedom implies that we can choose to respond to God either positively or negatively. While there is much we do not and cannot know about life beyond the grave, Lutherans do believe that life with God persists even after death. Judgment is both a present and future reality, and history moves steadily towards God’s ultimate fulfillment. This of course is a great mystery, and no description of what life may be like in any dimension beyond history is possible. Anxiety for the future is not a mark of faith. Christians should go about their daily tasks, trusting in God’s grace and living a life of service in his name.